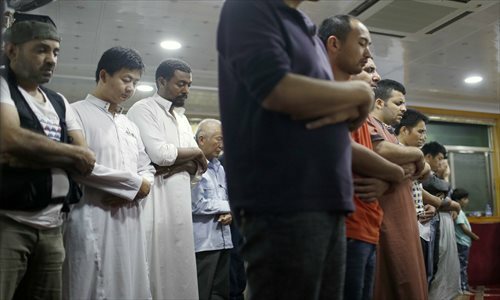 Muslims from around the world are quietly celebrating Ramadan together in Yiwu, a small city in East China's Zhejiang Province. 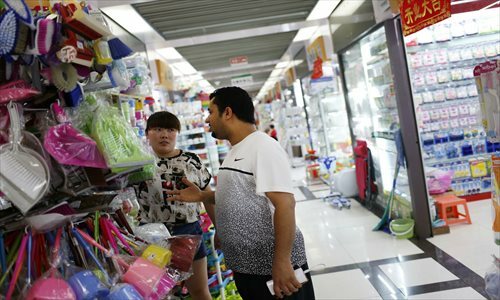 Over the past decade, the city, home to the biggest wholesale market in China, has attracted an estimated 20,000 traders from Arab countries who come to trade, buy products and then ship them back to their home countries. 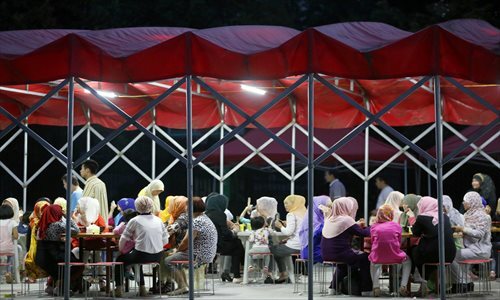 The influx of foreign Muslim traders has in turn attracted large numbers of Hui and Uyghur people from Northwest China, who open restaurants and shops in the city or find a living as interpreters. 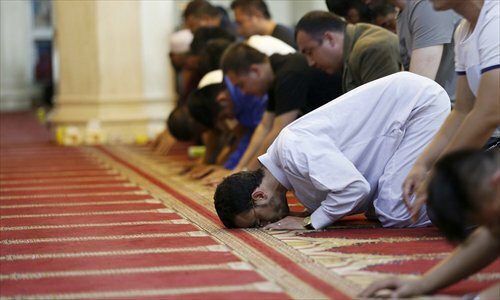 The city has the fastest growing Muslim community in China. 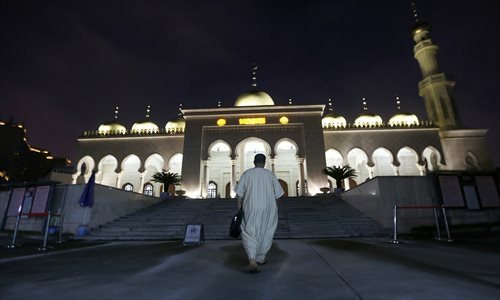 Yiwu's mosque, built in 2004 in the city center and revamped several years ago, is currently the third largest mosque in China, according to the Yiwu authorities. Each Friday, when believers go to pray, it houses over 7,000 Muslims, with nearly two thirds of them hailing from Arab countries, including Egypt, Yemen, Saudi Arabia and the United Arab Emirates. Police often have to implement special traffic controls to manage the huge number of Muslims heading for the mosque. Ramadan, the ninth month of the Muslim calendar, is a month of obligatory daily fasting and spiritual reflection. This year's Ramadan started on June 18 and will last until July 17. 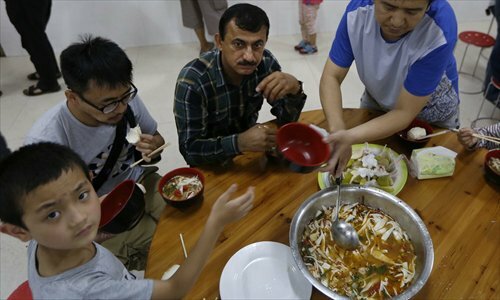 When the Global Times visited, most Arab Muslims had gone back to their home countries for the annual observance. 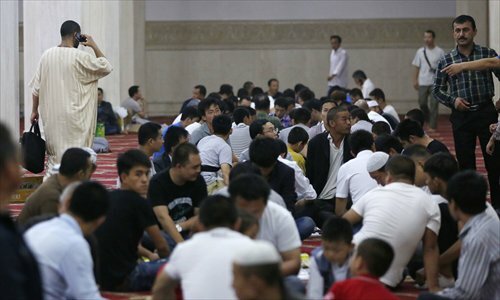 Those who have stayed in Yiwu pray in the mosque every day and seek religious guidance from the mosque's imams. 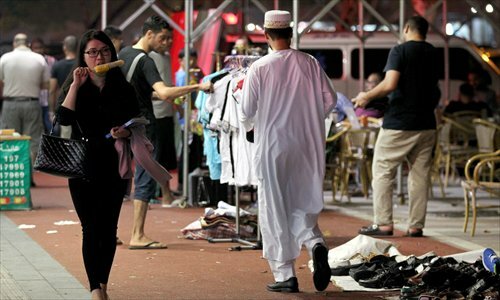 After the Muslims end their daily Ramadan fast at sunset, many Arab traders spend their evenings at a Middle Eastern night market, where they smoke hookahs and play chess at their leisure.